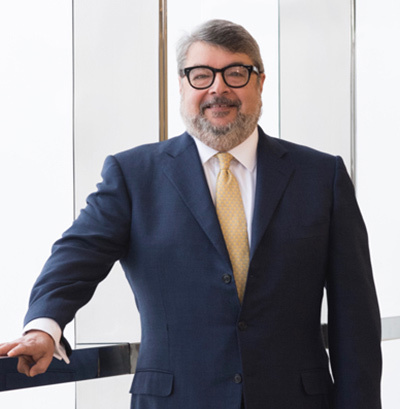 DALLAS (SMU) – Perkins School of Theology is honored to announce John M. Esquivel as the recipient of the 2019 Woodrow B. Seals Laity Award. He will be recognized at 4:45 p.m. on Thursday, March 28, 2018, during the opening worship service of the three-day Perkins Theological School for the Laity in Perkins Chapel (6001 Bishop Blvd, Dallas, Texas, 72505). The Woodrow B. Seals Laity Award is presented annually to a layperson in the United States who embodies the Christian faith and commitment of service to Christ in the church, community and world as exemplified by Judge Woodrow B. Seals, a distinguished layperson whose interest and energy were instrumental in establishing the Perkins Theological School for the Laity. Selection for the Seals Award is made by the Perkins Lay Advisory Board. Esquivel is a faithful United Methodist, a community leader, a philanthropist and an advocate for civil rights. He retired from the Shell Oil Company, where he served as Chief Ethics and Compliance Officer and Associate General Counsel. A member of First United Methodist of Houston, he was elected in 2016 as Lay Leader for the Texas Annual Conference and serves actively on the Bishop’s Extended Cabinet. He is a longtime member of the Board of Trustees for the Houston Symphony, has served as chairman of the Greater Houston Hispanic Chamber of Commerce Foundation and Justice for Our Neighbors Houston, and is a member of the boards of the National Council of La Raza and the YMCA of Greater Houston. Perkins Theological School for the Laity is supported by the Howard-Holbert Endowment Fund. The fund was established in 1986 in honor of the late Dr. Virgil P. Howard, who was associate director of the Perkins Intern Program and professor of Supervised Ministry, and Dr. John C. Holbert, Professor Emeritus of Homiletics who served as Lois Craddock Perkins Professor of Homiletics at Perkins School of Theology from 1997 until his retirement in 2012. For more information on Perkins Theological School for the Laity and to register for the conference visit their website.